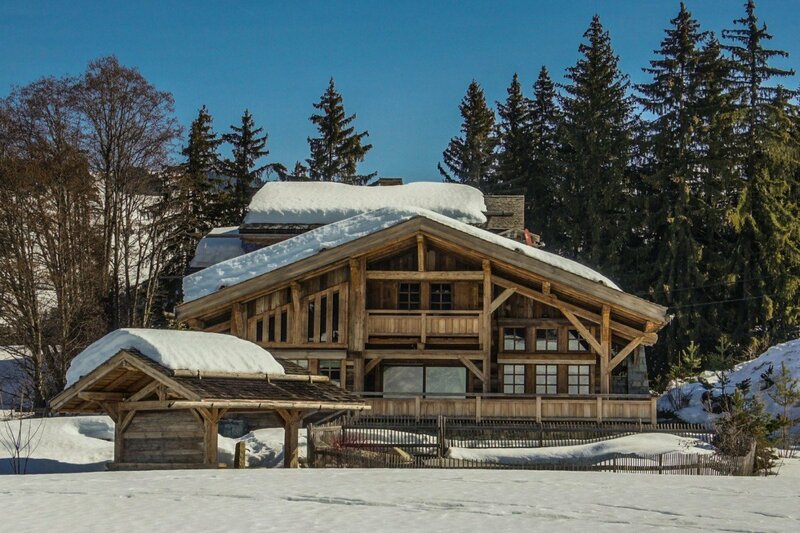 Not all who visit the Alps wish to focus entirely on downhill skiing, and if you are eager to sample cross-country in the Cote 2000 area of Megeve, then the Chalet Bellevue is for you. 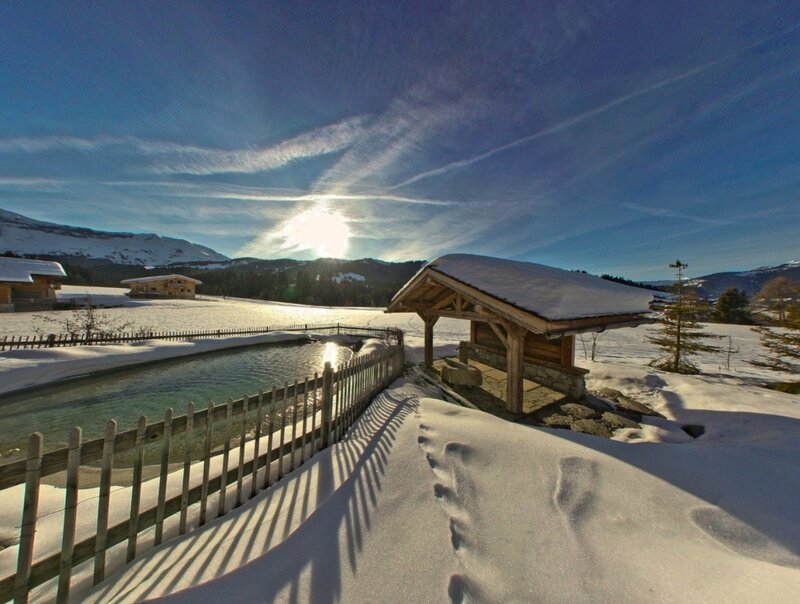 Just a short distance from the cross-country trails, it is a visually stunning and classic chalet surrounded by gorgeous scenery and packed with wonderful amenities. Built over several floors, the property gazes out at lovely little pond and features several levels of wooden decks and terraces. Inside, the emphasis is on comfort and warmth. The use of natural materials like stone and wood give it a very soothing atmosphere and many guests really love the great room for its high ceilings, oversized seating and stone fireplace. 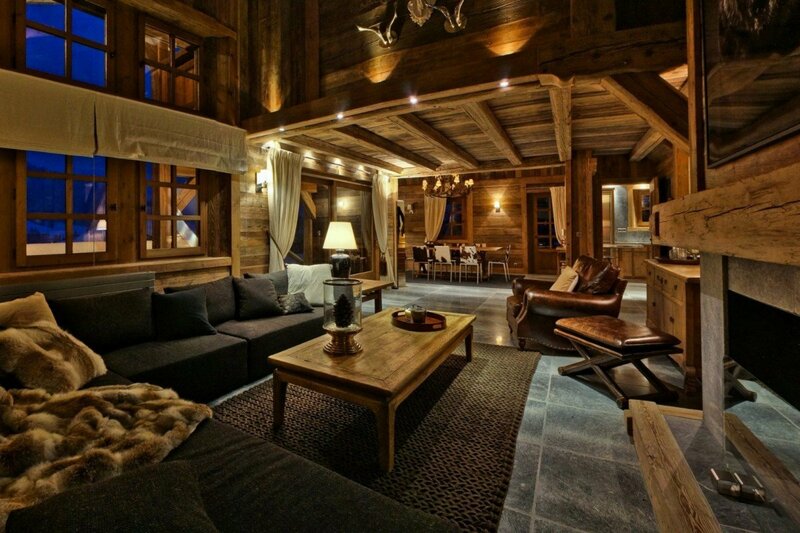 Here you can lounge or watch some TV as you warm up by the fire. Just a few steps way is the dining room that opens to the terrace as well as leading into the large, gourmet kitchen. Using a visually appealing mix of materials, it is a modern space with all you can need to make delicious meals, premium drinks and more. It features a breakfast bar, as well. Visitors should also think of the five bedrooms as part of the retreat. Each is luxuriously appointed and beautifully decorated. The bedrooms are divided between floors with a master suite at the top floor offering a private balcony, dressing room and bath. 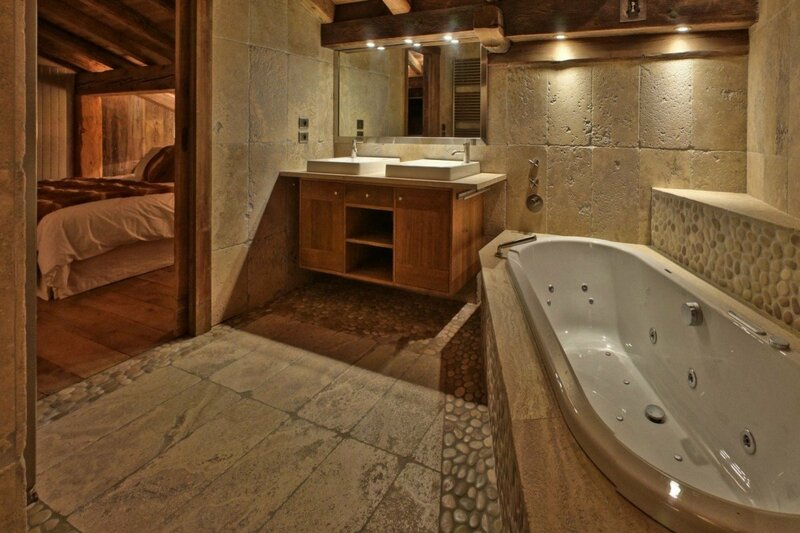 The first floor bedrooms are either doubles or dual singles, but each as a large and private bath. 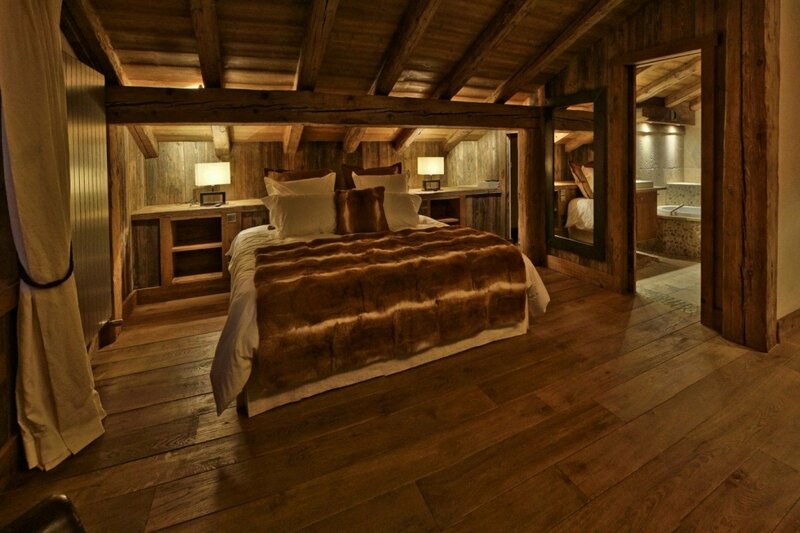 With its ideal location for cross-country skiing enthusiasts, the Chalet Bellevue is a rare find. Yet, it is also close to the traditional slopes and minutes to the village where excellent shopping dining and lift access is readily available. 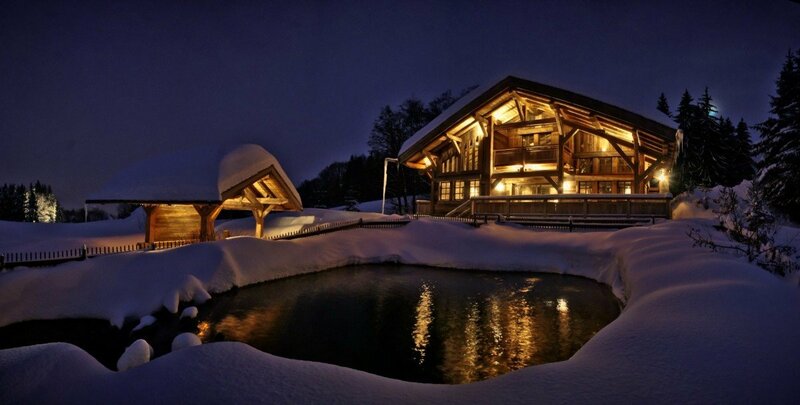 If you are planning your winter holiday ski vacation, don’t overlook this peaceful and tranquil property. Bedroom 1: Second floor Master bedroom with a double bed, access to terrace, dressing area and en-suite bathroom with bathtub, vanity and WC. 2 guests maximum. Bedroom 2: First floor bedroom with a double bed and en-suite bathroom with bathtub, vanity and WC. 2 guests maximum. Bedroom 3: First floor bedroom with a double bed and en-suite bathroom with bathtub, vanity and WC. 2 guests maximum. Bedroom 5: First floor bedroom with two single beds and en-suite bathroom with shower, vanity and WC. 2 guests maximum.